Blugré Coffee is Davao’s first and leading coffee shop founded in 1998. It is basically a spin-off from the founder’s clothing company. Blugré Coffee is a proudly Mindanao brand that brought the coffee lifestyle to Davao City. It is known for it’s signature drink called Durian Gatchpuccino, a hot cappuccino concoction that blends espresso with the pulp of Davao’s favorite fruit – durian. Larcepuccino is the cold version of the signature drink. This year the proudly Davao brand is set to expand not only on major cities in the country but also in major cities in Asia, Australia, Canada and the US. Blugré coffee is eyeing to open more than 20 stores nationwide. It will open stores in Cagayan de Oro, Iloilo, Bacolod, Dumaguete, Makati, Ortigas, Calamba, Pampanga and Baguio. Globally, it is soon to open in Singapore, Bangkok, Kuala Lumpur, Jakarta, Toronto, Adelaide and Las Vegas. Currently, Blugré Coffee has six stores in Davao City which are located in Matina Town Square, LandCo, SM City Davao, SM Lanang Premier, Gaisano Mall and Abreeza Mall. It has also two stores in General Santos City locted in Robinsons and SM City Gensan. 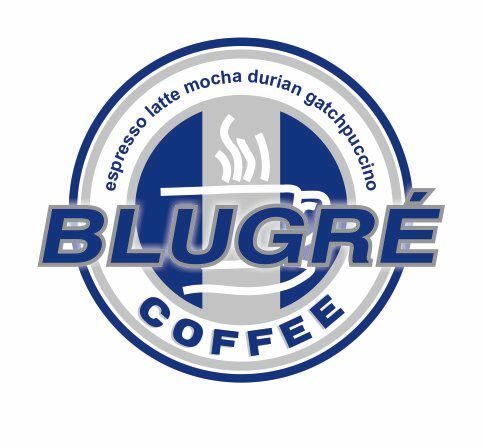 On February 22, 2013, Blugré Coffee is set to open it’s first store in Tagum City which is located in Nicole 22nd Strip, Apokon Road. Few days later, it will also open it’s 7th store in Davao City which is located within the vicinity of Davao Doctor’s College. Blugré Davao Doctors will be opened on February 28, 2013. Watch out for more updates. Blugré Coffee might be brewing next in your city.